According to howisyourhearing.org over 36 million American adults have some degree of hearing loss. The statistics are shocking and even more so knowing that over half of those 36 million Americans are younger than age 65 . Hearing loss is an increasing health concern in this nation that is often preventable. Taking time to see an audiologist for regular hearing screenings and knowing the signs of hearing loss can protect your hearing.  Exposure to excessive loud noise.  Ear infections, trauma, or ear disease.  Harm of the inner ear and ear drum from contact with a foreign object (cotton swabs, fingers, bugs).  Illness or certain medications.  Deteriorating hearing due to the normal aging process. How to protect your hearing. 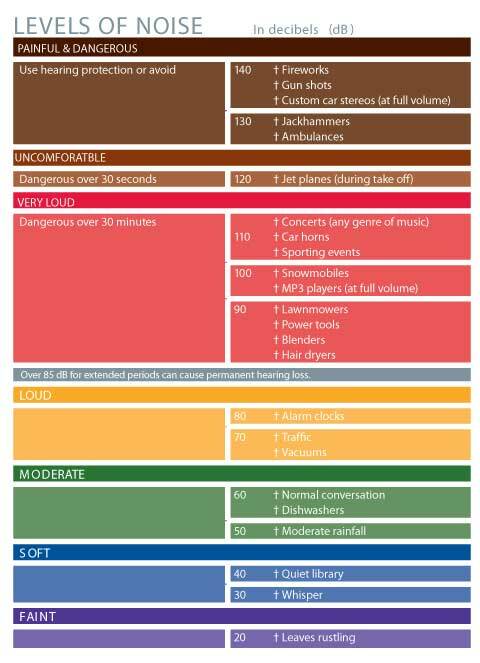 Wear hearing protection when around sounds louder than 85dB for a long period of time. There are different types of hearing protection such as foam earplugs, earmuffs and custom hearing protection devices. Turn down the volume when listening to the radio, the TV, MP3 player, or anything through ear buds and headphones. Walk away from the noise. Download the Facts About Hearing Loss from the American Academy of Audiology.